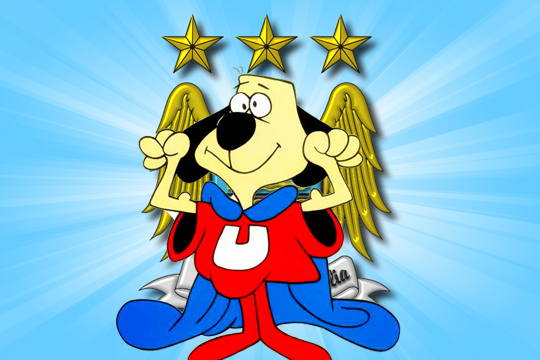 Manchester City recently won the English Premier League title. Their dramatic final day victory represents a huge power shift in the world’s most popular sports league. This is their first league crown in 44 years. The team they overcame is their bitter cross-town rival, and perennial champions, Manchester United. Surely, this is a grand underdog story. 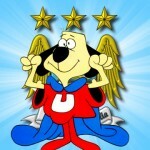 From a strictly historical perspective, yes, Man City was an underdog. They had long been striving for English supremacy, just to fall short. They were the other team from Manchester. Their more famous and illustrious rivals, United, own the most league titles in English football history with 19. They have won a staggering 12 championships in 19 seasons. They’ve boasted world-class talents like Wayne Rooney, Cristiano Ronaldo, and David Beckham. Their manager has even been knighted (Sir Alex Ferguson). Since 1968, Man City has cowered in the shadow of Manchester United. The landscape in Northern England changed dramatically in 2008 when City was purchased by Sheikh Mansour of the United Arab Emirates. The oil magnate is rich beyond comprehension, and he has dumped an estimated £1 billion into the team since its purchase. Their £7.4 million per player salary average ranks as the third highest in all of professional sports. They play in a brand new, state of the art stadium and boast the highest payroll in the league. They’ve poached top talent from all over world. With this type of backing, it’s hard to view City as the underdog. historical whipping boys juxtaposed with financial conquerors. For most of the past season, Man City grabbed headlines for the unthinkable actions of a few of their highest profile players. These travails made for tabloid treasure in England. First we have the case of Carlos Tevez. The mercurial striker had already had a complicated history with the City of Manchester. He ascended to prominence at Manchester United. Tevez made up one part of the feared attacking trident that also included Rooney and Ronaldo. That group proved to be world conquerors, winning both the Premier League and Champions League in 2008. A year later he jumped ship to Manchester City. Mansour and the brass of the blues found it amusing to announce this coup with a billboard boasting “Welcome to Manchester.” Tevez proved himself a coup indeed. He evolved into City’s captain and leading goal scorer. He led the team to FA Cup glory in 2011. But then the trouble started. By last summer, Carlos Tevez found himself in constant transfer (i.e. trade) rumors. Most accounts cited his unhappiness in England. He missed his native Argentina. To critics, he was rich and spoiled. The tension between player and club was palpable. It all came to a head during a Champions League game in September. Upset about starting on the bench, Tevez refused to enter the game. This led to a long a drawn out saga with manager Roberto Mancini. Tevez was absent for months at a time. He popped up at golf courses in South America. The public was told, “he would never play for Manchester City again.” Stories had the striker headed back to Argentina, Brazil, or Paris. In his sojourn, Tevez saw no game time until March. But sure enough, after apologizing to Mancini, he was welcomed back and keyed a late season resurgence for City. Our second back page darling is none other than Mario Balotelli. Well before arriving in the Premier League, Mario had the reputation of wild card. 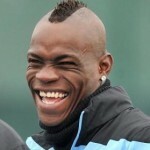 Of Ghanaian descent, Mario was adopted and raised in Italy. He trained and played with Inter Milan before being picked up by City on his 20th birthday. His talent is undeniable. On the pitch he’s quick, agile, strong and decisive. Only his temper dampens the brilliant light cast by his play. He was ejected from several games this year for dangerous plays and given two separate 4-game suspensions. Bizarrely enough, Mario’s graceful play and equally disgraceful discipline record are not his most newsworthy achievements. Off the field, Balotelli’s life is nothing short of a sideshow. He dates supermodels, drives gaudy sports cars, and causes hilarity at every turn. At one point this season, authorities had to put out a blazing fire he started at his house by setting off fireworks inside. He’s missed games due to curfew violations. He’s thrown darts at fellow players, been caught using an iPad on the sidelines, and sometimes sports hair meant to mimic tire tracks. But for all of the drama caused off the field, the historical underdog/financial favorites had their most memorable day on the final day of the season. Manchester City gone out to an early lead in the tables (standings), just to see the lead disappear and turn into a deficit. It seemed as if another angst-ridden offseason was ahead. But as the season drew to a close, the conclusion was anything but familiar. Having secured a seismic 1-0 win against United with two weeks remaining in the season, the two rivals remained level atop the league standings. Man City held the tiebreaker on goal differential. They entered the last game of the season still deadlocked. Manchester United were winning their game handily, so that meant City needed a win in order to secure their first league title in 44 years. Heading into stoppage time, they trailed 2-1 to Queens Park Rangers. It looked as if they would drop the title after being excruciatingly close. Then, with less than two minutes to play, Edin Dzeko scored to knot the game at 2, and sure enough, with the final seconds ticking down, Sergio Aguero fired home the league-winning goal. Pandemonium ensued as years of frustration gave way to delirium. So congratulations Manchester City. You stepped out of the shadow of your cross-town rival. You shed the underdog label for good. Your financial status will make you perennial favorites. Get used to your new role as villains.